Stepanova E., Russia's response to terrorism in the twenty-first century, in Michael Boyle (ed. ), Non-Western Responses to Terrorism (Manchester Univ. Press, 2019), pp. 2354. Stepanova E., Russia’s Approach to the Conflict in Libya, the East-West Dimension and the Role of the OSCE, in Andrea Dessi and Ettore Greco (eds. 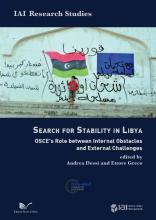 ), The Search for Stability in Libya: OSCE's Role between Internal Obstacles and External Challenges (Rome: Instituto Affari Internazionali (IAI) / Nuova Cultura, 2018), p. 89111. Stepanova E. (ed. ), Addressing Terrorism, Violent Extremism and Radicalization (Perspectives from Russia and the United States) (Moscow, IMEMO, 2017), 262 p. [Pathways to Peace and Security. no. 1(52): Special Issue, May 2017]. Stepanova E., Cragin K., "Terrorism and Countering Violent Extremism," chapter 9 in A Roadmap for U.S.-Russia Relations, A Report of the CSIS Russia and Eurasia Program and Russian International Affairs Council, ed. by Andrei Kortunov and Olga Oliker (Lanham, MD: Rowman and Littlefield, 2017), p. 7381. Stepanova E., The ISIS factor in Afghanistan: how much of a challenge for Russia? Eurasia.org, Saltzman Institute of War and Peace Studies (Columbia Univ.) and OSCE Academy in Bishkek Project, Bishkek Project Memo, 30 March 2017. Stepanova E., Regionalization of violent jihadism and beyond: the case of Daesh, in Interdisciplinary Journal for Religion and Transformation in Contemporary Society, no. 3: Religious Fundamentalism, June 2016, p. 3055. Stepanova E., Les Russes et l’État islamique: politique étrangère et facteurs internes, in Outre-Terre: Revue européenne de géopolitique, no. 44 (3), 2015, pp. 80-94. Stepanova E., The "Islamic State" as a Security Problem for Russia: the Nature and Scale of the Threat, PONARS Eurasia Policy Memo no. 393, October 2015. Stepanova E., North Caucasus — a Wall Against or a Bridge for "Islamic State"? 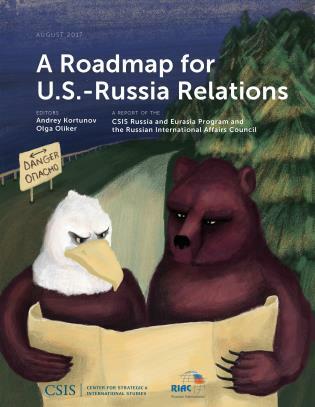 Russian International Affairs Council (RIAC) Analysis, 3 July 2015. Stepanova E., Transnational Islamist terrorism: network fragmentation and bottom-up regionalization, in Global Terrorism Index 2014: Measuring and Understanding the Impact of Terrorism (Sydney, New York, London: Institute of Economics & Peace, Nov. 2014), pp. 7478. 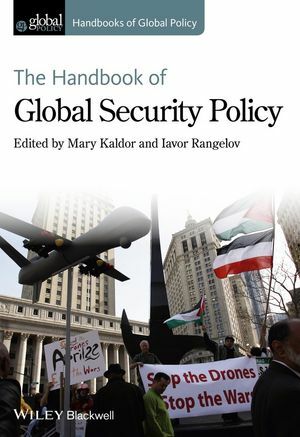 Stepanova E., Terrorism and antiterrorism, in M.Kaldor and I.Rangelov (eds), The Handbook of Global Security Policy (London: Wiley-Blackwell, 2014), pp. 126144. Stepanova E., Lone wolves and network agents in leaderless jihad: the case of the Boston Marathon bombing cell, in K.Rekawek and M.Milosevic (eds. ), Perseverance of Terrorism: Focus on Leaders (Amsterdam: IOS Press, 2014), pp. 5063. Stepanova E., The evolution of the al-Qaeda-type terrorism: networks and beyond, in L.Bossi, C.Demetriou and S.Malthaner (eds), Dynamics of Political Violence: A Process-Oriented Perspective on Radicalization and the Escalation of Political Conflict (Farnham, VA: Ashgate, 2014), pp. 288305. Stepanova E., The Boston Bombings: A Post-Qaeda Take on Lone Wolves and Leaderless Jihad, Program on New Approaches to Research and Security in Eurasia (PONARS Eurasia) Policy Memo no. 268 (Washington D.C.: Elliott School of International Affairs, George Washington University, 2013); see also in Russian. Stepanova E. Future trends in violent threats to security, in Global Strategic Developments: A Futuristic Vision (Abu Dhabi: The Emirates Center for Strategic Studies and Research (ECSSR), 2012), pp. 167193. See also in Arabic. Stepanova E. Beyond Protection: In the Wake of the Moscow Domodedovo Airport Terrorist Attack, Analisis del Real Instituto Elcano (ARI), Madrid, 3 Feb. 2011. Stepanova E., Terrorism and political extremism, in Graeme Herd (ed. ), Great Powers and Strategic Stability in the 21st Century: Competing Visions of World Order (London: Routledge, 2010). 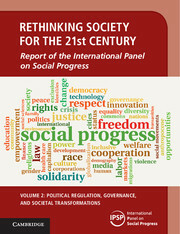 (New Delhi; London; Los Angeles: Sage, 2009), 266 p.
DOI: 10.4135/9788132102205 ; ISBN 978-81-7829-951-8. Stepanova E., Islamist terrorism in the Caucasus and Central Asia, in Alex Schmid and Garry Hindle (eds. ), After the War on Terror: Regional and Multilateral Perspectives on Counterterrorism Strategy (London: RUSI Books, 2009), pp. 104-124. Stepanova E., Does Russia Want the West to Succeed in Afghanistan?, PONARS Eurasia Policy Memo no. 61 (Washington DC: Georgetown University Eurasia Strategy Project, 2009). Stepanova E., Section V.2. Anti-terrorism, in I.Yurgens, A.Dynkin and V.Baranovsky V. (eds), The Architecture of Euro-Atlantic Security (Moscow: Library of the Institute of Contemporary Development, 2009), pp. 5661. Stepanova E., Book Review: Terror and consent: the wars for the twenty-first century. By Philip Bobbitt, in International Affairs [Chatham House], vol. 85, no. 4 (July 2009), pp. 849850. See also this chapter in Arabic, Chinese, Russian and Ukranian. Stepanova E., Islamist terrorism as a threat to Europe: the scope and limits of the challenge, in Demet Ulusoy (ed. ), Political Violence, Organised Crime, Terrorism and Youth, NATO Science for Peace and Security Series: Human and Societal Dynamics, vol. 46 (Amsterdam: IOS Press, 2008), pp. 141158. Stepanova E., Radicalization of Muslim immigrants in Europe and Russia: beyond terrorism, PONARS Eurasia Policy Memo no. 29, in PONARS Eurasia Policy Conference, 12 September 2008 (Washington D.C.: Georgetown University Eurasia Strategy Project, 2008), pp. 111115. also available in Arabic, Chinese, Russian and Ukranian. Pikayev A. and Stepanova Ye., Nonproliferation and nuclear terrorism, in Alexei Arbatov and Vladimir Dvorkin (eds), Nuclear Weapons After the Cold War (Moscow: Carnegie Moscow Center; R.Elinin Publishing House, 2008), pp. 271306. Stepanova E., Legal and practical aspects of the antiterrorism campaign, in SIPRI Yearbook 2005: IMEMO Contribution to the Russian Edition (Moscow: Nauka, 2006), pp. 3659. 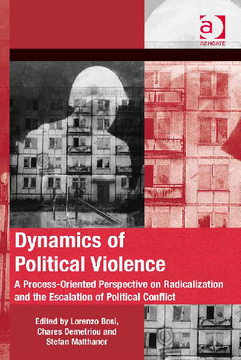 Stepanova E., Anti-terrorism and peace-building during and after conflict, in Peace Studies: Critical Concepts in Political Science (London: Routledge, 2005), vol. III, pp. 338389 [reprint]. Stepanova E., Russia’s approach to the fight against terrorism, in J.Hedenskog, V.Konnander, B.Nygren, I.Oldberg, C.Pursiainen (eds. ), Russia as a Great Power: Dimensions of Security under Putin (London: Routledge-Curzon, 2005), pp. 301322. Stepanova E., From Dubrovka to Beslan: Who Is Learning Faster? PONARS Policy Memo no. 347 (Washington D.C.: CSIS, November 2004). Stepanova E., The Challenge of Terrorism in Post-Saddam Iraq: A View from Russia, PONARS Policy Memo no. 325 (Washington D.C.: CSIS, April 2004). Stepanova E., Linking anti-terrorism and peace operations: specifics and constraints, in Peace Support Operations, Parliaments and Legislation (Moscow: Geneva Center for the Democractic Control of the Armed Forces (DCAF); Center for Political and International Studies (CPIS), 2004), pp. 134141. Stepanova E., The OSCE and the US-Russian cooperation in the fight against terrorism, in OSCE Yearbook 2002, Institute for Peace Research and Security Policy, Hamburg Univ. (Baden-Baden: Nomos Verlagsgesellschaft, 2003), pp. 5972; see also in German. Stepanova E., Russia and international cooperation in the fight against terrorism, in Russia: Arms Control, Disarmament and International Security, IMEMO Contribution to the Russian Edition of the SIPRI Yearbook 2002 (Moscow: Nauka, 2003), pp. 3246. 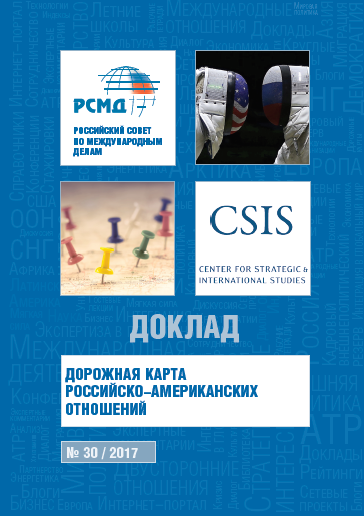 tepanova E., Partners in need: U.S.-Russia cooperation on and approaches to antiterrorism, PONARS Policy Memo no. 279, in PONARS Policy Conference 2002 (Washington D.C.: CSIS, 2002), pp. 187192. Stepanova E., Russia and the combat against terrorism in local and regional conflicts, in Russia: Arms Control, Disarmament and International Security, IMEMO Contribution to the Russian Edition of the SIPRI Yearbook 2001 (Moscow: IMEMO, 2002), pp. 4258. Stepanova E., Military Operations Other Than War: The U.S. View, in Military Thought [EastView Publications], 2002, vol. 11, no. 2, pp. 127133. Stepanova E. U.S.–Russia Cooperation on Afghanistan: An Exception or a Model? PONARS Policy Memo no. 201 (Washington D.C.: CSIS, September 2001). Stepanova E., International Terrorism in the Southern Tier: Perceived or Real Threat to Russia’s Security? PONARS Policy Memo no. 167 (Washington D.C.: Council on Foreign Relations, 2000). Stepanova E., Western Policy on Chechnya: Rationalizing Relations with Russia? PONARS Policy Memo no. 100 (Cambridge (Mass. ): Davis Center for Russian Studies, Harvard University, 1999). Stepanova E., [Russia and the United States in the fight against terrorism: comparative threats and approaches, Syria, Afghanistan, countering violent extremism], in Addressing Terrorism, Violent Extremism and Radicalization (Perspectives from Russia and the United States), ed. by Ekaterina Stepanova (Moscow: IMEMO, 2017) [Pathways to Peace and Security. no. 1(52): Special Issue, May 2017], pp. 1354, in Russian. 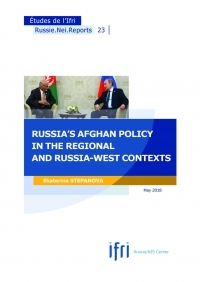 Stepanova E., [The ISIS factor and the Taliban movement in Russia's policy on Afghanistan and in the broader region], in Addressing Terrorism, Violent Extremism and Radicalization (Perspectives from Russia and the United States), ed. 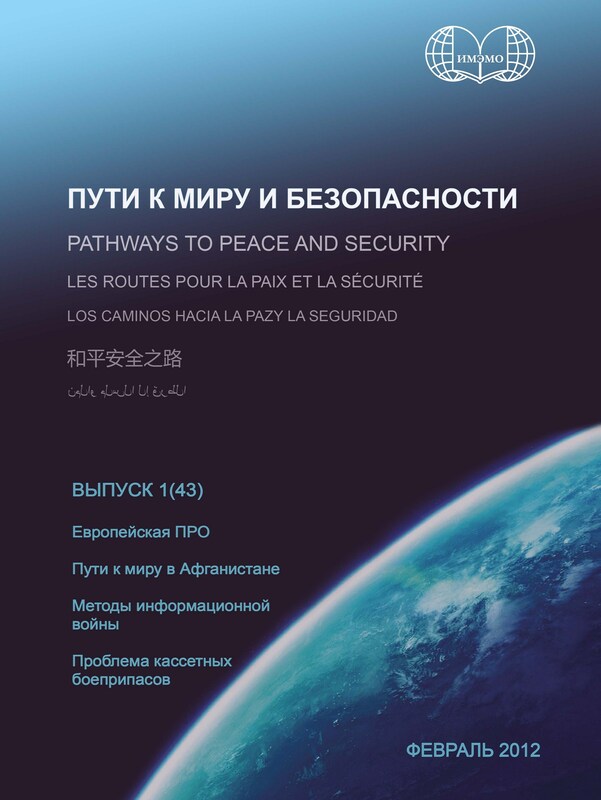 by Ekaterina Stepanova [Pathways to Peace and Security. no. 1(52): Special Issue, May 2017], pp. 213237, in Russian. Stepanova E., [ISIS and transnational Islamist terrorism], in Puti k miru i bezopasnosti [Pathways to Peace and Security], no. 2(47) (Dec. 2014), pp. 1327. Stepanova E. [The main trends in contemporary terrorism  Part I], in Security Index, vol. 20, no. 3(110), Fall 2014, pp. 95110. Stepanova E. [The main trends in contemporary terrorism  Part II: regionalization of violent Islamist radical movements (the case of ISIS)], in Security Index, vol. 20, no. 4(111), Winter 2014, pp. 4958. Stepanova Е. [Transnational terrorism ten years after September 11: decline, rise or transformation? ], in Vestnik MGU. Series 25: International Relations and World Politics, no. 3 (2011), pp. 4–34. (Moscow: Nauchnaya kniga, 2010), 288 p., in Russian, rev. and exp. transl. from English. Stepanova E.A. [Global trends in one-sided violence against civilian population], in Obschestvennyie nauki i sovremennost' [Social Sciences and Modernity], no. 6 (2010), pp. 8189. Stepanova E.A. [Terrorism: problems of definition and the functional-ideological typology], in Mirovaya ekonomika i mezhdunarodnyie otnosheniya [The World Economy and International Relations], no. 7 (2010), pp. 2332. Stepanova E.A. [Terrorism as a threat to critical infrastructure], in Svobodnaya mysl' [Free Thought], no. 4 (2010), pp. 3348. Stepanova E. [Global Trends in Contemporary Armed Conflicts], in Union Magazine, no. 1 (Sep. 2009), pp. 4053. Stepanova E., [The state and the individual in modern conflicts], in Mezhdunarodnyie protsessy [International Processes] vol. 6, no. 1 (Jan.Apr. 2008), pp. 2940. 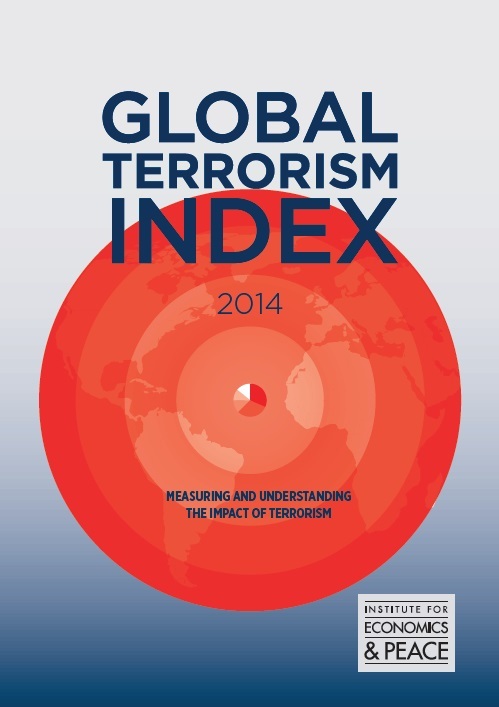 Stepanova E., [Islamist terrorism today: global and local/regional levels], in Index bezopasnosti [Security Index], vol. 13, no. 1(81), (Feb. 2007), pp. 7592. Stepanova E., [Diversity and transformation of terrorism: the Internationale and beyond], in Mirovaya ekonomika i mezhdunarodnyie otnoshenija (MEiMO) [World Economy and International Relations], no. 7 (July 2007), pp. 109119 (Book review). Stepanova E., [Transnational jihadi movement and terrorism of Islamist bent at the local/regional level], in God planety [Year of the Planet] Moscow, IMEMO, no. 15, 2007. Stepanova E., [Specifics of the financing of transnational Islamist networks in the context of the fight against international terrorism], in Ibid., pp. 145159. Stepanova E., [Evolution of the international anti-terrorism law and the Russian anti-terrorism legislation], in Ibid., pp. 210232. Pikayev A. and Stepanova E., [Non-proliferation and nuclear terrorism], in Alexei Arbatov and Vladimir Dvorkin (eds), Yadernoje oruzhije posle kholodnoi voiny [Nuclear Arms After the Cold War] (Moscow: ROSSPEN, 2006), pp. 310357. 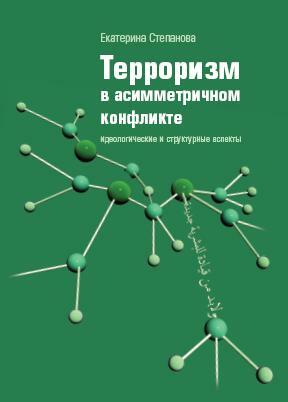 Stepanova E., [Terrorism and asymmetric conflict: problems of definition and typology], in Sovremennyi terrorizm: istoki, tendentsii i problemy preodolenija [Modern Terrorism: Sources, Trends and the Problems of Countering]; Notes of International University in Moscow, no. 6 (2006), pp. 177190. Stepanova E., [Organizational forms of global jihad], in Mezhdunarodnyje protsessy [International Processes], vol. 4, no. 1(10), (Jan.Apr. 2006), pp. 95104. Stepanova E., [Russia, the UN and anti-terrorism: legal and practical aspects], in Yezhegodnik SIPRI 2005 [SIPRI Yearbook 2005, Russian Edition] (Moscow: Nauka, 2006), pp. 835849. Stepanova E., [Supression of terrorism financing], in Mezhdunarodnyje protsessy [International Processes], vol. 3, no. 2(8), (MayAug. 2005), pp. 6673. Stepanova E., [Illicit drug trafficking and its links to conflicts and terrorism: Afghanistan and Central Asia], in Razoruzhenije i bezopasnost [Disarmament and Security, 20012002] (Moscow: Nauka, 2003), pp. 5772. Stepanova E., At-tatarruf ad-dinij wa al-kawmiyya ar-radikaliyya aidiologijatan lilunf al-musallyah al-lemutanazir [Religious extremism and radical nationalism as ideologies of asymmetrical armed violence], in Al-hewar al-kawmij – al-islami [National  Islamic Dialogue] (Beirut: Centre for Arab Unity Studies (CAUS), 2008), pp. 679689, in Arabic; download contents.